Toni Teasdale can't get enough of Pickleball, a racquet game she plays six days a week at the Anna Maria Island Community Center. 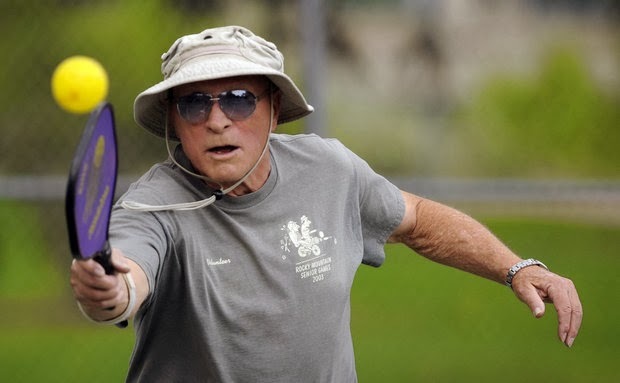 A favorite of seniors, the fast-growing sport is a cross between tennis, ping-pong and badminton. "We try not to let a day go by without playing," said Teasdale, whose husband, Jim, is equally passionate about pickleball. "It can be a very fast game - that ball is just zipping back and forth. But for beginners and people who aren't athletic, it doesn't have to be fast," she said.